Personal shoppers at Walmart! 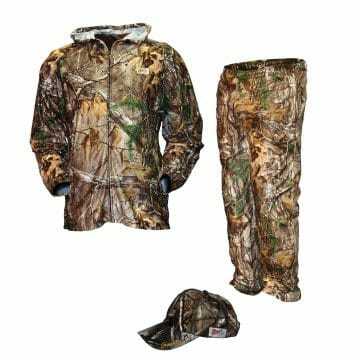 What, for plus-size camo hunting gear? Actually, the new initiative is targeted at affluent urban moms as the company attempts to grow by expanding its market in the face of Amazon's challenge. Most of the rural and suburban communities targeted by Walmart have a store. That leaves bigger cities with their wealthier, more discerning and more time-challenged consumers. The startup is being led by Rent the Runway co-founder Jenny Fleiss, who joined Walmart last year to lead the initiative. Since then, Walmart has revealed little about the project, but Recode reported details on the service in December. Jetblack marks Walmart’s latest attempt to appeal to new types of customers who typically wouldn’t have shopped at Walmart stores or through Walmart’s website. Jet.com, which Walmart acquired for $3 billion in 2016, is now being positioned to appeal to millennial consumers who live in big cities — not traditionally Walmart’s demographic. Under Jet founder Marc Lore, Walmart has also acquired higher-end men’s fashion brand Bonobos. And last week, Walmart announced that upscale department store Lord & Taylor, which is struggling, would soon launch a fashion portal on Walmart.com. Lore, who now runs all of Walmart’s e-commerce efforts in the U.S., had the idea for a higher-end personal shopping service inside of Jet long before the Walmart acquisition — even calling it Jetblack internally for years, sources say. Now it looks like the company has stuck to the idea of the Jetblack name even though there is not currently any obvious association with Jet.com. If the New York City test is successful and the service expands, though, perhaps it would look for added distribution through Jet.com. Jetblack is one of several projects being run under a Walmart startup incubator called Store No. 8. Others include Project Kepler, a startup working to build cashierless stores similar to Amazon Go that Recode previously uncovered, as well as a virtual reality initiative.